This is an advertisement for Krav Maga, I have no idea who these people are. The blog is no reflection upon them. Using it for illustrative purposes only. The term Krav Maga is used loosely and often only for commercial purposes. I can say that our style, IKI Krav Maga, has one goal, to get you home safely. Our style encompasses much more than the physical. While we have no "spiritual" aims there is certainly a spiritual side to all we do. Our style goes beyond technique and focuses instead on concepts. When you understand the concepts you can apply them without always knowing the "correct technique" for each situation. Our style teaches that physical defense is the last resort after all your other early warning systems have failed. We do not use the physical as our first line of defense, there is a great deal of strategy and situational awareness that is far more important. We are about self-defense; pure and simple. Yes, there are other aspects and benefits. Yes, many people lose weight, but that is not how we promote ourselves. Yes, many find a new self and become empowered, that is also wonderful. But the bottom line for us is getting home safely. They say show respect for all martial arts, as all martial arts involve hard work and disciple, and so I do. But I do not respect "mis-naming martial arts". 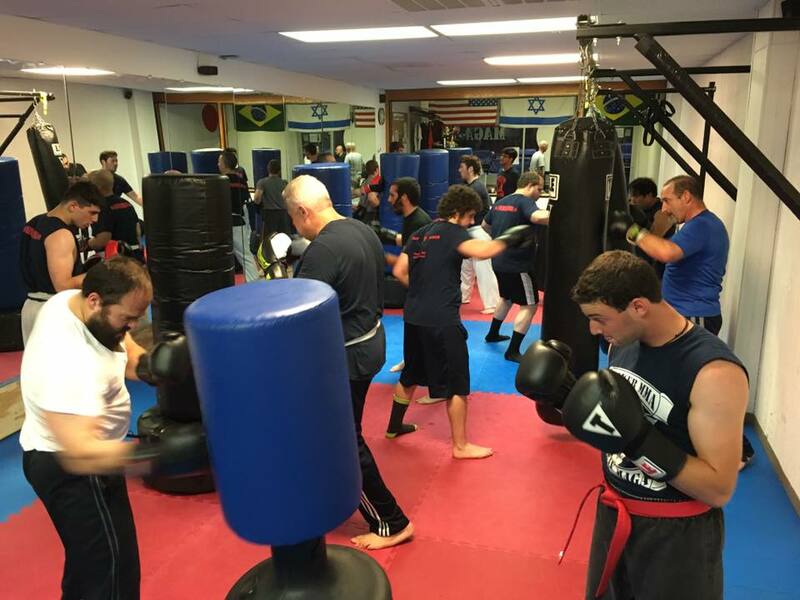 If you are teaching boxing please do not call it Krav Maga just because you want to be associated with some "cool" Israeli style. No, boxing is boxing, and Krav Maga is Krav Maga, and yes, they are different. Boxing techniques play a very minor role in Krav Maga, especially in our style. Boxing was designed as a sport, lets' respect it as such and not rename it for commercial purposes. I do not wish to insult anyone here, I respect and admire boxing skills and boxers but we need to make this clear; boxing and Krav Maga are different arts with different goals. I see many schools advertising "Krav Maga", and then you see a bunch of heavy bags, guys and girls wearing boxing gloves and boxing shirts, hitting the bag. Now I know that a good punch, delivered by an experienced boxer, can knock someone out. A swing by a baseball player or a good throw by a basketball player can do the same, they are still sports. Today one of our members in South Africa sent me a very sad video clip. It was only about 50 seconds. During that 50 seconds a man was shot to death, why? As he opened his car door he was approached by a man with a gun pointed at him. He boxed him. Yes, he resorted to boxing not to Krav Maga gun disarms. The end result is he was killed. Yes, he was shot. The details do not matter here. The point here, the point I am trying to make is when you confuse boxing and Krav Maga, when you confuse sports and self defense because it is a good marketing strategy, you are killing people. Yes, I actually said that. Teaching martial arts/self defense is about saving lives. And if you are misrepresenting what you are offering/teaching you may be leading people to an early death. Yes. Boxing a man with a hand gun, or a man with a knife is like using the wrong medicine on a patient. The patient may very well die. The lesson is clear, draw your own conclusions, make your life choices, it is a matter of life and ...death.